Summit at Westlake Hills is an independent, assisted living and staffed nursing facility committed to treating our residents like family. Our residents enjoy a continental breakfast every morning transportation to offsite activities and our luxurious amenities. 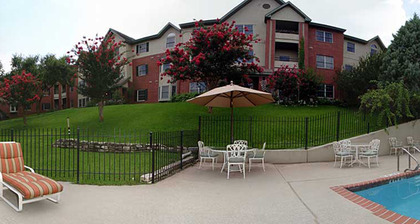 Residents are often found socializing and exercising in our heated pool or fitness center.